Editor's Note: The New course was closed - Old course is the only one left at this facility. Robert von Hagge and Bruce Devlin turned their attention to Raveneaux once Walden on Lake Conroe was completed in 1974. The two were excited to mold this part of Champions Forest into another upscale classic on the northwest side of town, closer to Houston. The Old Course is the longer of the two, with more trees and water coming into play on 14 of 18 holes. Two par 5s stand out on the Old Course. No. 2 plays a whopping 618 yards, and the 18th goes 511 yards with water all along the right side and four bunkers protecting the green. 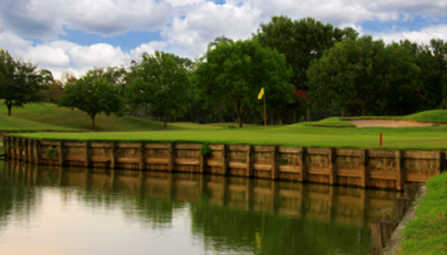 This final hole marks the end of an extremely tough finish to the course, since water is in play on the final five holes. 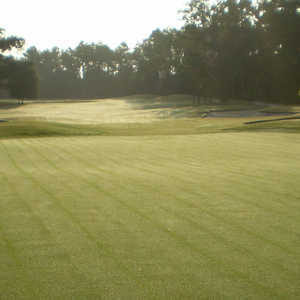 The New Course opened seven years later to accommodate the demand created by new residents. 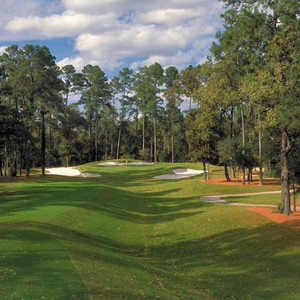 Known as a shot-maker's track, the design features heavy bunkering, impressive lakes, and demanding, elevated greens. This course has as much or more water than its older brother. You'll need precision tee shots during the round, especially on the 331-yard No. 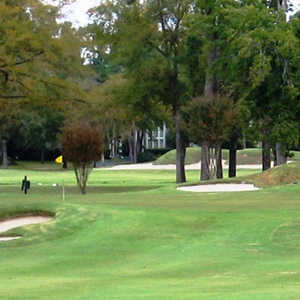 16-it plays into a dogleg-left fairway and features an approach over a huge bunker in front of the green. Other notes: Raveneaux is the name of the place where Napoleon took time to relax. The course experienced a 100-year flood during construction, washing away much of the newly shaped course. 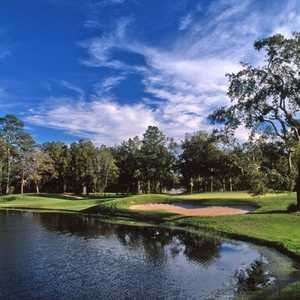 Both courses were renovated in the 1980s by Ken Kavanaugh. Getting there : From Hwy 249, take the Champions Dr. exit and turn left. The course is just down the road.